As Arizonans, we hike mainly in the desert. This presents unique challenges for adults, especially in the summer months. It is critical to be well prepared to make the hike enjoyable and safe for kids before you go. 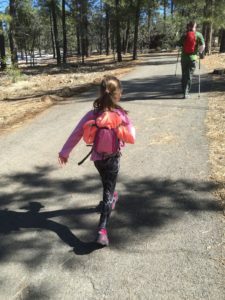 There are many great articles about hiking with kids (I list some of them below), but we have learned a few things first hand that can help make your hike a good one. Every summer there are dozens of reports of hikers ending up in dangerous, and often fatal, situations by hiking in the desert in the middle of the day. Our advice is just don’t do it. Hit the trail as early as possible (we call that time “o-dark-hundred” around here – which means some time BEFORE 6:30 or 7:00 am). Better yet, take a road trip to cooler locations like Prescott or Flagstaff. There are many temperate climates in Arizona that have great hiking, so plan ahead and take advantage. 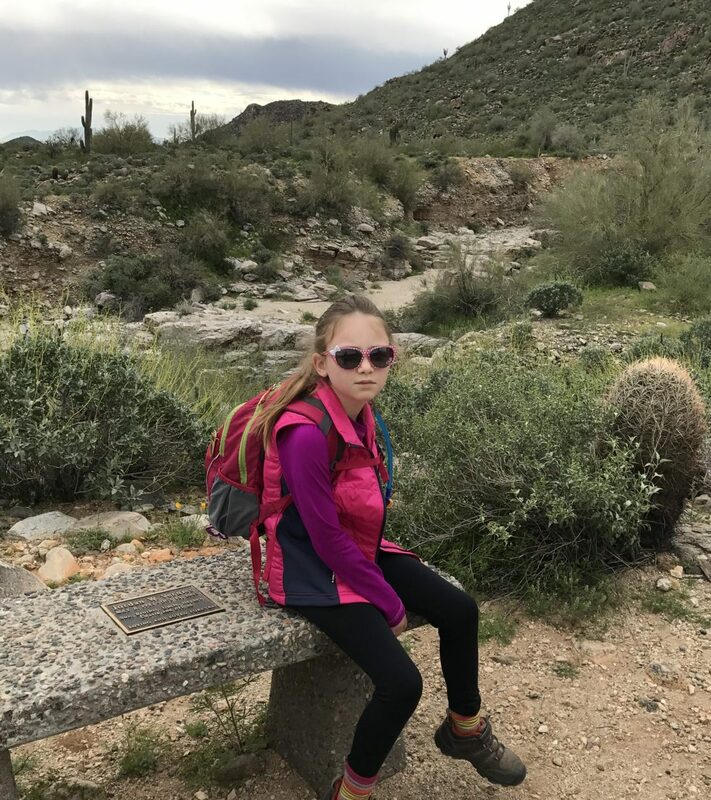 Leave summertime day hikes in the Phoenix area to the pros – advanced hikers who are in good shape and used to hiking in this weather. The daytime summer heat is no place for young kids. This is the most important rule for all hikers, especially in the desert. Realize that even higher elevations and tall pines in Arizona are still desert, which means the climate is very dry. Experts recommend drinking 1 gallon of water per person, per day. When we hike we fill our water packs to the top, no matter how far we’re going, and we refill at every water station. Pickles and peanut butter. An odd combination to be sure, but this is one do-it-yourself suggestion that we received from a local hiking expert in Prescott (the staff at Arizona Hike Shack are awesome). 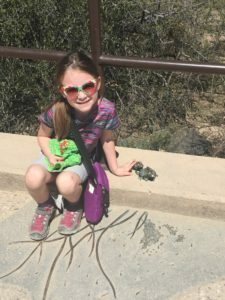 When we asked what kinds of food to give Ladybug on a 2-3 mile day hike to keep up her energy, he said you don’t always need to buy pre-packaged solutions. Ladybug is tall and lean, so she has very few fat reserves to keep her moving during even what we consider a short hike. She goes from full steam to “Mommy carry me” in about 2 minutes flat. The trick is to make sure she eats plenty of small snacks along the way. There are some great pre-packaged “power bars” out there that work well. Our favorites are the Cliff Bar, Cliff Kid ZBar, Odwalla Bars an Quaker granola bars, but there are many other great brands to choose from. But the pickles and peanut butter recommendation is a great idea, too Pickles provide quick-acting electrolytes, which regulate nerve and muscle function and hydration, and peanut butter provides a good source of healthy monounsaturated fat and protein. Ladybug tried this weird-sounding combination – and liked it! It tastes a little like peanutty sauces used in a lot of Thai food. Not too bad. This is a good rule for everyone to follow for all hiking and backpacking trips. Don’t let one person carry all of the food, water or supplies – even if they are the “strongest” person, or the most knowledgable. You never know when an accident will happen to you or someone else, so it’s it’s best for everyone to be prepared to take care of themselves. This applies to kids, too, to a certain degree. We have Ladybug carry her own water pack (an absolute must) so she can drink as she needs it. The pack includes her own snacks, sunscreen, lip balm, had and small first aid kit. You don’t need to carry a lot, but be sure to have the basics on hand for each person on your hiking adventure. This is important advice for the happiness and comfort of everyone in your hiking party. There are shirts, pants, shoes and socks made specifically for hiking and other outdoor activities – I highly recommend you use them! You don’t have to spend a fortune of new clothes (there are many discount versions available and most store have frequent sales), but our experience has taught us that you will be miserable if your gear is not up to the task. Specifically, do not wear jeans. Ever. they are heavy and chafing – just a bad idea all around for hiking. A good pair of hiking pants are worth every penny. Wear clothing that is made to breath, wick away sweat, dry quickly and be comfortable. Be careful with your footwear – hiking shoes are made to be comfortable while tackling tough, rugged terrain. This is important for both adult feet and little growing feet – we like the selections at REI, Sportsman’s Warehouse and Cabela’s for kids shoes. The have a lot to choose from at each store and usually have all kid sizes available. Kids not only have short attention spans and small bladders, they also wear out quickly. 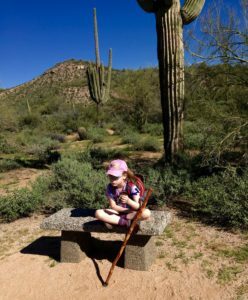 Make the hike fun for your young ‘uns by making stops along the path – look for wildlife, tell them about special plants and flowers, find big sticks and funny rocks. Here in the Sonoran Desert, look for weird and funny cactus shapes, petroglyphs on rocks, and guess what kind of animal (or insect!) lives in the holes you find along the trail. Take a breath and smell the desert air – it’s like no other scent and one of the best things about hiking in Arizona. And be sure to prepare for possible potty breaks along the trail. Have everyone go before you leave, but don’t be surprised if you need to have a quick lesson about squatting behind a tree or bush (and we highly recommend taking plenty of tissues and wet wipes, just in case)! Your kid is only this age once – take time to appreciate who they are and what they can do right now. 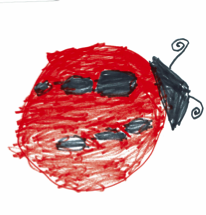 Right before Ladybug was born, a friend of mine gave me the best advice about parenting that I’ve ever heard. She said, “just enjoy every minute of it.” Boy was she right!